Video: Learn about the Vegan Scene in Melbourne, Australia! Learn about the vegan scene in Melbourne, Australia. Rebecca interviews Monica Kervin, a vegan from Melbourne, Australia. Bonus: a gentoo penguin from Antarctica visits us at the end! 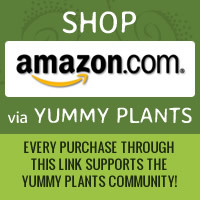 See more Yummy Plants videos on the Yummy Plants YouTube channel.